Kuala Lumpur, 16th November 2008: Guardian Of The Highway. As the DUKE is nearing completion, a pack of dogs are left in a lurch. These dogs grew up on the highway as construction progressed over the years. Many are kept by contractors to protect their construction equipment. The construction workers who fed them are mostly gone. 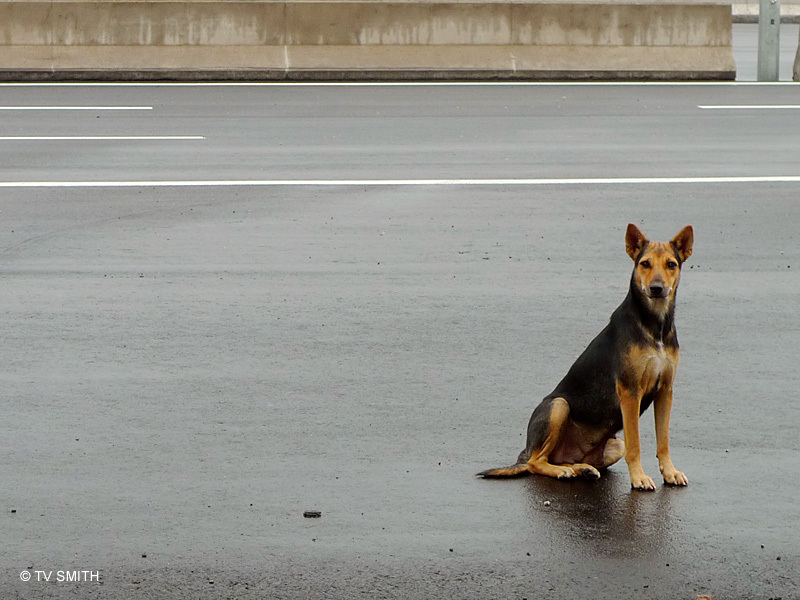 At night, the abandoned dogs guard the unopened toll plaza fiercely, like as if it is their master's home. The situation is unique in that the highway cuts through a village. With exit and entry ramps in the village, other animals might stray onto the highway too. They will soon become a hazard to motorists and to themselves, as speeding vehicles invade the highway when it opens. Me and Sabrina of animal shelter Furry Friends Farm are trying to contact the expressway operator to help re-locate these strays in a humane manner before it is too late. Anyone knows anyone who might assist?